UK-based packaging firm DS Smith has opened a new PackRight Center in Oftringen, Switzerland. The new PackRight Center, which is the company's 27th in European network, will help in developing display and packaging concepts to reduce time-to-market while helping in increasing sales and reducing costs for customers. DS Smith general manager Bernd Dilger said: "In our newly designed rooms, we work together with our customers' contact persons from various areas, for example, from marketing, purchasing, development and production, to find the optimum display and packaging solution. “In this process, we precisely analyze the particular supply cycle of the product. As a result, we get solutions that perfectly match the requirements of our customers and therefore deliver real added value." DS Smith said that its PackRight Centers will provide its customers with the opportunity to collaborate with packaging experts to design and build new or improved packaging solutions. During the course of a workshop at the PackRight Centre, DS Smith’ customers will develop concrete and viable solutions with the help of state-of-the-art technology and various design and creative tools. DS Smith said that direct access to the design would help in creating samples directly during the meeting. The company is planning to open another PackRight Centre in Germany in near future. In 2016, the firm said it plans to operate a total of 50 PackRight Centers across Europe in the next couple of years. 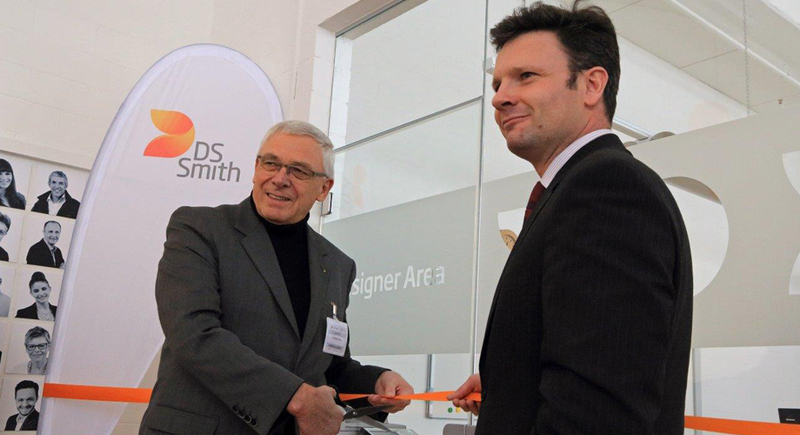 Image: Officials from DS Smith during the opening of PackRight Centre in Switzerland. Photo: courtesy of DS Smith.